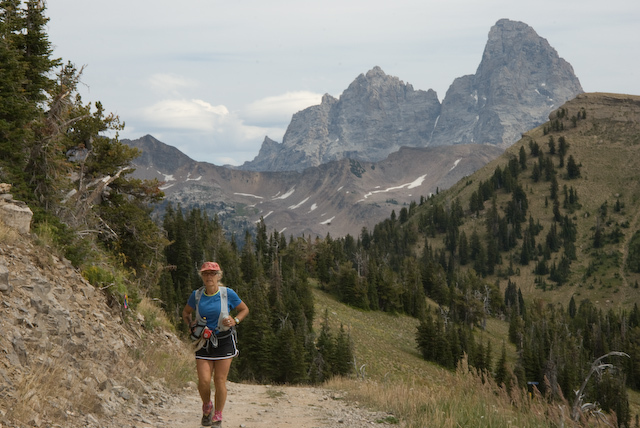 Part of the “RUN TO THE SUMMIT SERIES” The 2016 Targhee Hill Climb – Wrun For Wray, is part of the Run To The Summit Series, which includes the Snow King Hill Climb and the Rendezvous Mountain Hill Climb at the Jackson Hole Mountain Resort . Competitors who complete all three Hill Climb events, for a total of 12+ miles and over 7,500 feet of climbing, will be eligible for overall awards and a raffle with special prizes. Targhee Hill Climb Course Description:The 2.9 mile uphill run starts at the base of the Dreamcatcher chairlift and climbs 1840′ to the top of Fred’s Mountain. Following the single-track Bannock Trail, (or the Teton Vista Traverse if snow pack is an issue), the course will feature a water station at roughly 1 mile and at the Finish Line. CLICK HERE to register on-line registration. Race premiums are guaranteed to those who register before 6/1/16; since this event is a fundraiser, only a limited number of premiums are ordered.Race day registration will be available on the Plaza at Grand Targhee Resort from 8:30am-9:30am (but, as mentioned above, a limited number of race giveaways are produced each year so please do not be upset is none are available during race day registration). Proceeds benefit the Wray Landon Legacy Foundation at the Teton Regional Land Trust.